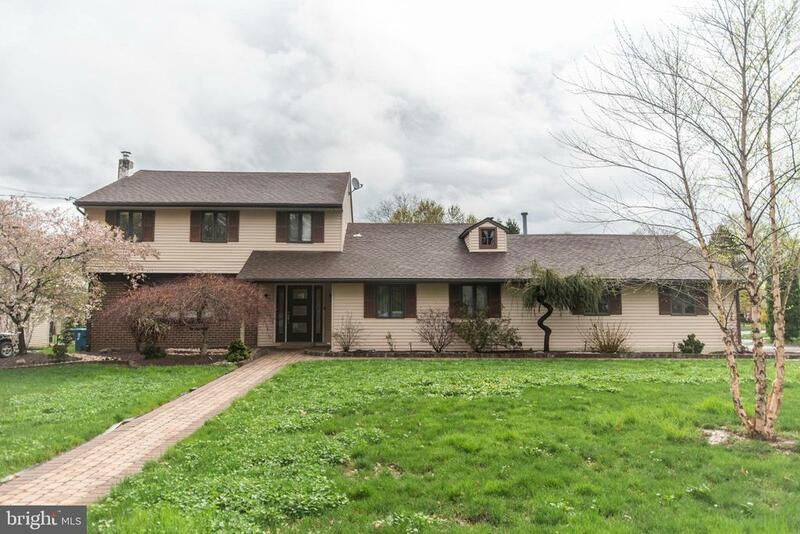 All Hatboro homes currently listed for sale in Hatboro as of 04/21/2019 are shown below. You can change the search criteria at any time by pressing the 'Change Search' button below. If you have any questions or you would like more information about any Hatboro homes for sale or other Hatboro real estate, please contact us and one of our knowledgeable Hatboro REALTORS® would be pleased to assist you. "Investment alert! Here is a chance to develop and build a magnificent suburban community, surrounded by an abundance of plush, serene and tranquil features. The swan inhabited lake sits next to a flowing stream of majestic tumbling waters. The flat land is almost 10 acres in all and could be the backdrop for 70-90 possible townhomes. Located right near the Willow Grove exit to the turnpike and a few meters from Septa's regional rail, access to just about anything is a short distance away. Whether building your dream home or neighborhood, you couldn't find a better place to do it. There are multiple homes already facing the lake and a swailing drive that leads you from suburbia straight into this peaceful and magnificent slice of life." "You~ve been house-hunting for a little while and all you~ve seen are cookie cutter, bland, and unexciting homes.. Nothing stands out.. no history, no taste. And then you saw 31 N Chester Ave! 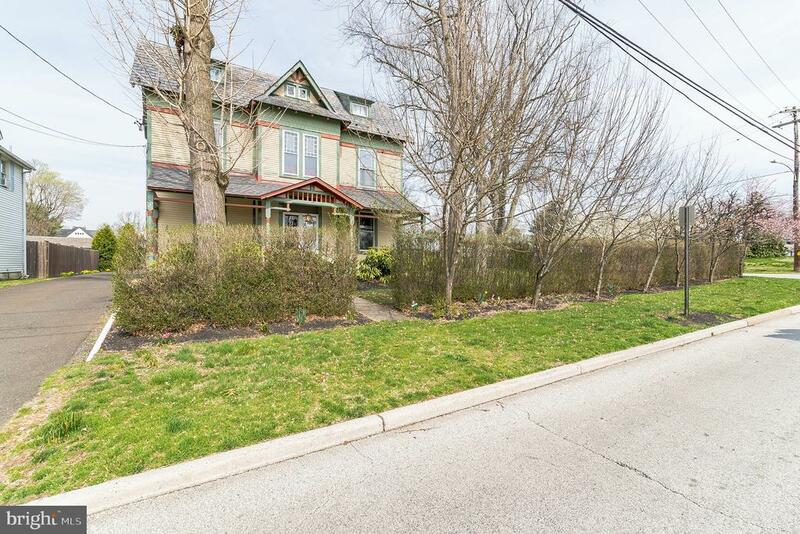 A home gushing with rich character, from the beautiful stain glass windows to the glistening walnut wood floors, this house will let you relive the history of Hatboro, but without any of the headache of an older home. Meticulously maintained, and heavily updated, this home boats a new 200 amp electrical system, with Cat-6 hard wired and coaxial system. The basement switch allows for designation of each room~s connection to accommodate a phone, security cameras, and cable TV. Add to that a state of the art, 98% efficient, multi-zoned hot water heating system, that channels water through GORGEOUS, sand-blasted, mosisture-cured painted, antique radiators! These were pressure tested and installed with the entire system by a certified plumber that specializes in hot water heat. Environmentally friendly, highly effective insulation throughout the entire home ensures that heating is efficient and stays within the beautiful interior. The first floor flows easily from the den, to living room, into the one of a kind updated kitchen with semi-custom cherry cabinetry and deep sink carved from a single block of soap stone. High end Kholer sinks, tile floor, and Toto toilets finish off both full bathrooms in the home, along with the bonus of heated flooring in the bathroom off the kitchen. Upstairs are 3 generously sized bedrooms, along with 2 more on the third level, perfect for kids, or extra home-office space for privacy. All of this wrapped nestled into a private, yet expansive corner lot in the acclaimed Hatboro-horsham School District, and walking distance from Hatboro, Wawa, the train station, restaurants~this is exactly what you~ve been waiting for!" "Welcome to 111 Crab Apple Lane. 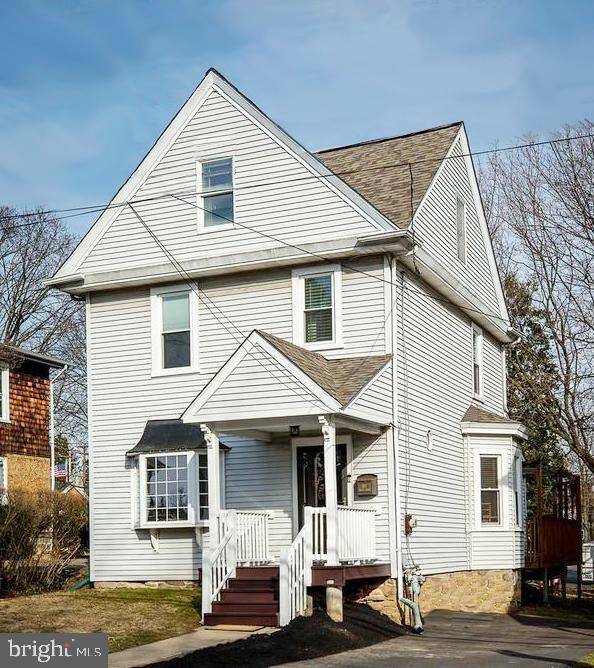 This completely renovated, Colonial gem is ready for you to move right in! Step into the main foyer that leads you to the formal dining room with beautiful bamboo flooring and a large bow window bathing the room in sunlight. Enjoy cooking in the gourmet kitchen boasting solid Cherry, soft close cabinets, granite countertops, tile backsplash, gas cooktop, stainless steel appliances, wall oven and microwave, and an adjacent breakfast room with large bow window overlooking the impressive rear yard. Just through the kitchen is the fantastic family room including hardwood flooring, vaulted ceiling, stone wall with gas fireplace and access to the rear entertaining space. Take advantage of large bonus/movie room with custom built-in cabinets and recessed lighting. This room can be used as an office, playroom, craft room, or take advantage of the sound proofed walls, retractable projection screen, ceiling speakers and blackout curtains to transform it into an amazing movie room for a true movie theater experience! Enjoy plenty of room for guests in the attached in-law suite with recessed lighting, full bath, and separate entrance! The recently remodeled powder room offers convenience for your guests, while the main floor laundry room offers convenience for you! Ascend to the second story and meet the master retreat featuring a vaulted ceiling, hardwood flooring, custom walk-in closet with organizers, and a full master bath with tile shower surround and a jetted tub. There are 2 additional, amply-sized bedrooms and an updated, full bath on the second floor. The spacious unfinished basement offers loads of space for additional storage and features a French drain system. Entertain your guests in the fenced-in, outdoor oasis including a covered patio, gas hook up for grilling, and the impressive in-ground pool! The one-car garage and outdoor shed (sold As Is) offer additional storage solutions. 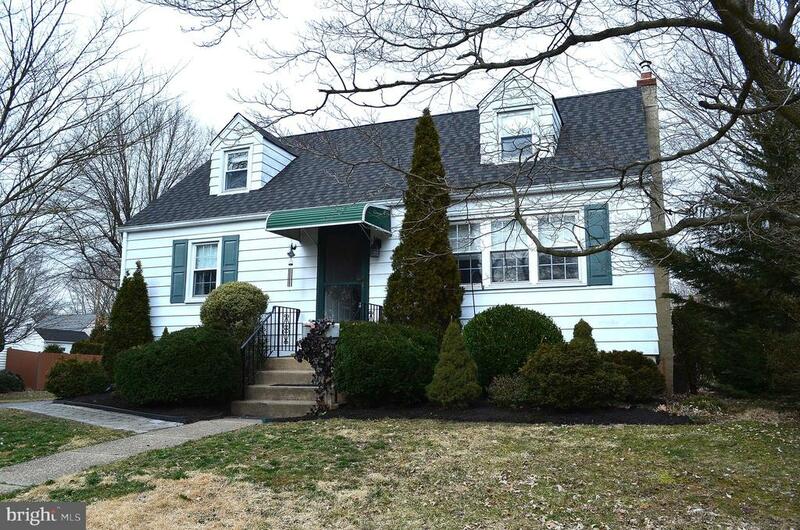 Additional features include: new roof in 2017, 3 zo"
"Welcome to 12 Timber Lane, located in the Blue Ribbon award-winning Hatboro-Horsham School District. This impressive home it situated on a desirable corner lot along a unique residential street featuring double cul-de-sacs. This charming neighborhood is within walking distance to restaurants, shops, and other attractions within Hatboro Boro. An inviting, covered front porch serves as the perfect relaxation spot to sit and enjoy the beautiful surrounding landscape. As you enter this home, French doors welcome you into an expanded light-filled living room enhanced by a large bay window. The formal dining room runs adjacent to the well-appointed, open concept, eat-in kitchen complete with granite counter-tops and plenty ofof cabinet space. Flowing effortlessly off the kitchen is a cozy family room featuring a central fireplace with wood stove insert. A large window and French doors add an abundance of natural light to this attractive space. A convenient half bath completes the first floor. The 2nd level features a spacious master bedroom suite enhanced by a full bathroom, three ample secondary bedrooms, and a full common bathroom with granite top vanity. A partially finished basement provides great extra space to fit a myriad of needs--well-suited as a den, office or playroom, while providing a utility space for extra storage. The oversized 24 x 24, 2-car garage also allows for even more storage space or a workshop. Outside, the expansive deck overlooks the backyard and is great for entertaining friends and neighbors. The privacy of the generous rear yard is enhanced by well-maintained, bordering trees. Many improvements and updates have been made during the sellers' ownership; including a living room expansion, garage expansion (2017), low-maintenance Leaf Guard gutters (2016), new roof (2017), new boiler (2014), new A/C system (2013) and much more! Book your appointment today." "Welcome Home to Hatboro Station by Toll Brothers! Now open and selling 3 bedroom 2 1/2 bath 2 car garage townhomes within walking distance to the Hatboro train station and the quaint town of Hatboro. Enjoy low-maintenance living at Hatboro Station. Snow removal, landscape, siding, trash removal and roof maintenance are all included in this community! This quaint neighborhood includes a dog park and allows for walking to the town restaurants and shops. In addition, walk to the Regional Rail line with stops throughout Center City and the International Airport. Highly-rated Hatboro Horsham School District. Priced from the mid $300K." "New Construction Home for the New Year 2019! Contact the sales office today to see this spacious end unit Whitman model that includes a 6' x 20' low maintenance Trex Deck, Williamsburg Oak Staircases on 1st and 2nd floors an elegant tray ceiling in the Master Bedroom, upgraded kitchen cabinets, granite countertops, stainless steel appliances, hardwood flooring, refrigerator, washer and dryer and blinds throughout! 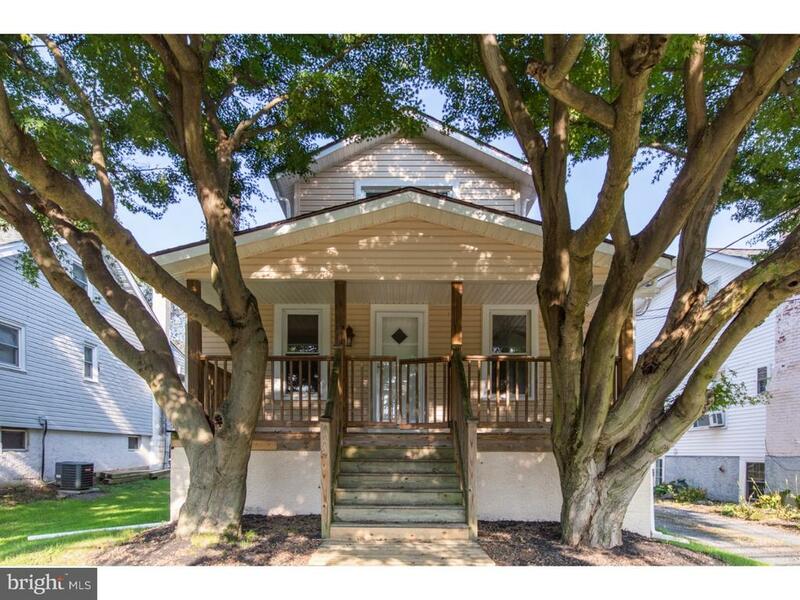 Enjoy low maintenance living in Hatboro Station. Snow removal. landscape, siding and roof maintenance are all included in this new Toll Brothers community. This quaint neighborhood includes a dog park and allows for walking to the town restaurants and shops. In addition, walk to the Regional Rail line with shops throughout Center City and the International Airport. Highly rated Hatboro-Horsham School district." "Whitman quick delivery home available at Hatboro Station by Toll Brothers. This Whitman model is available for early 2019. This home includes a 6' x 20' low maintenance Trex Deck, Williamsburg Oak Staircases on 1st and 2nd floors, an elegant tray ceiling in the master bedroom, and electrical additions. Kitchen has been upgraded with upgraded cabinets, granite countertops and stainless steel appliances. Hardwood flooring on lower and living levels. Refrigerator, washer and dryer included. Move in ready home! Visit the sales office today for additional information. Hatboro Station is located within walking distance of the train station and the quaint town of Hatboro. Conveniently situated just a few miles from the Horsham/Jenkintown exit off the Pennsylvania Turnpike. Low maintenance lifestyle includes landscaping, snow removal, dog park and walking trails." "Hatboro Sales center is now open! 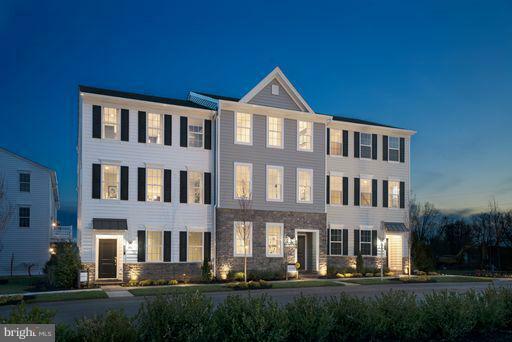 Come visit Montgomery county's newest townhome community by Toll Brothers. 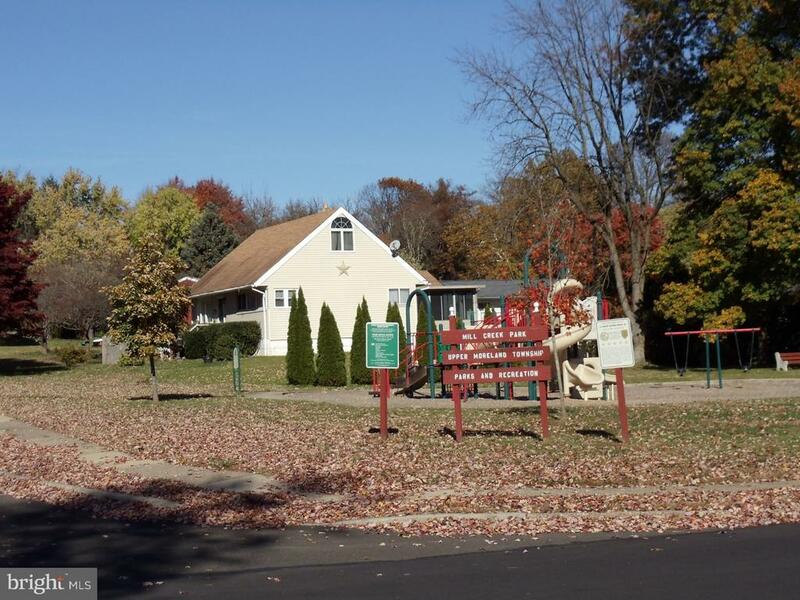 This community is within walking distance to the train station and the quaint town of Hatboro. The Whitman floor plan offers 3 bedrooms, 2 1/2 baths and 2 car garage at 1851 sq. ft. Still time to select options at no additional cost. 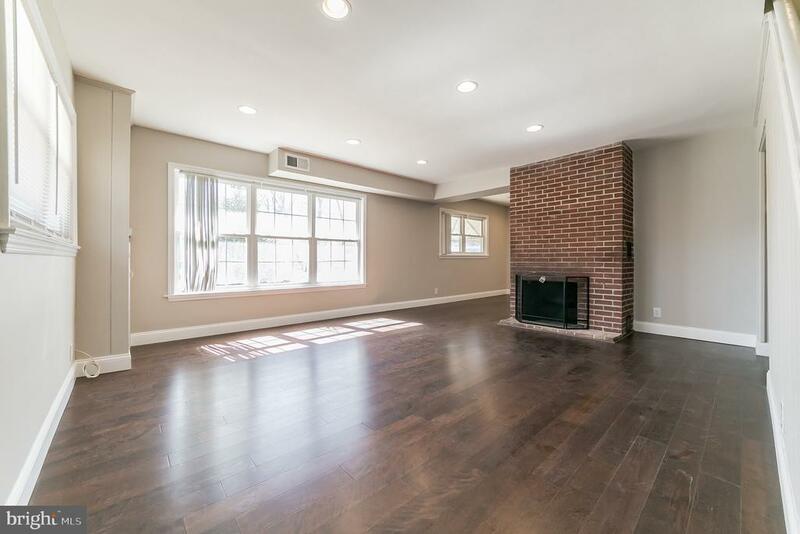 Enjoy low-maintenance living at Hatboro Station. Snow removal, landscape, siding, trash removal and roof maintenance are all included in this community! This quaint neighborhood includes a dog park and allows for walking to the town restaurants and shops. In addition, walk to the Regional Rail line with stops throughout Center City and the International Airport. Highly-rated Hatboro Horsham School District. Schedule a visit to the community to see what Hatboro Station has to offer." "Hatboro Station sales center is now open! Come visit Hatboro Station- Prime Location. Models offer 3 bedroom 2 1/2 bath 2 car garage floor plans. Enjoy low-maintenance living at Hatboro Station. Snow removal, landscape, siding, trash and roof maintenance are all included in this community! This quaint neighborhood includes a dog park and allows for walking to the town restaurants and shops. In addition, walk to the Regional Rail line with stops throughout Center City and the International Airport. Highly-rated Hatboro Horsham School District. Schedule a visit to the community to see what we have to offer." "Welcome Home to Hatboro Station by Toll Brothers. Three story townhomes offering 3 bedrooms, 2 1/2 bathrooms and 2 car garages. Community offers low maintenance living and walking trails to the Hatboro Station train station. Visit the sales office for more information. *Photos of Whitman model home not reflective of the house for sale"
"Welcome to 38 Barbara Road in Hatboro! 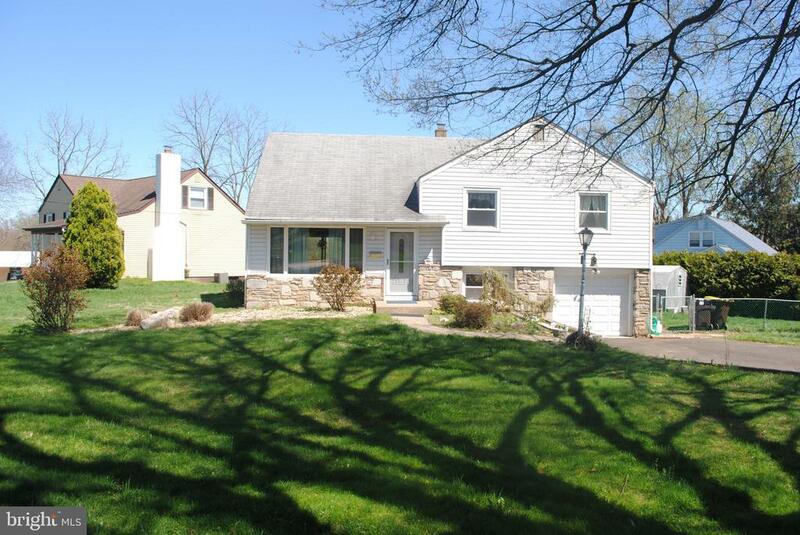 Expanded cape cod with over 2000 sq ft situated on a lovely lot in a highly desirable neighborhood of Upper Moreland. This home has been well maintained by its current owners with too many upgrades and improvements to list. The main level consists of a spacious living room and dining room, kitchen, family room with 2 bedrooms and 1 full bath. Hardwood floors grace the living room/dining room as well as the 2 bedrooms. Pergo flooring can be found in the family room as well as bamboo flooring in the half bath. Right off the family room, you will find an enclosed porch with brand new storm door installed last week. The kitchen contains updated stainless steel appliances, newer stove and microwave (2016), newer tile floors and ceiling fan (2017) as well as updated back splash, sink and faucet all in 2017. Take a walk upstairs to find a reading nook/loft area that could be used for any number of activities---office space, gaming area for the children or just cozy up with a good book. There are 3 more additional bedrooms on the upper level including the master bedroom with a walk in closet and updated full bath. Partial basement and spacious crawl space with an abundance of storage. Hot water heater was replaced in 2016, water softener in 2015, newer heater and central air installed in 2013, main sewer drain cleaned in 2019, newer front roof in 2017, majority of wiring has been replaced in 2013, electric to home updated with lines replaced in 2013, freshly painted walls and ceilings throughout and so much more. Large deck overlooking the back yard with large storage shed with newer roof installed in 2017. Close proximity to Main Street in Hatboro with all its charm in addition to easy access to main roads and PA turnpike to make your work commute a breeze. This home will not last~make your appointment today!" 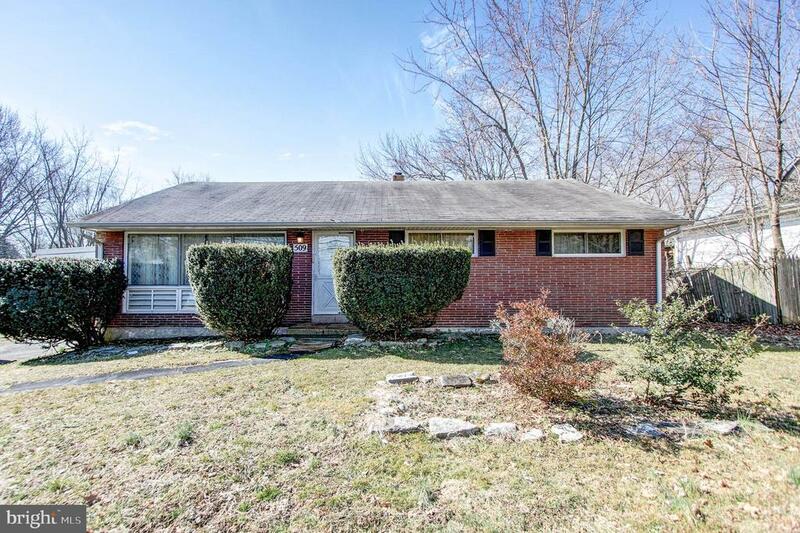 "Come take a look at this charming, spacious home located within the award winning Upper Moreland school district. This large home boasts over 2500 square feet with 3 bedrooms, new carpeting on the entire upstairs and in the additional room downstairs, gorgeous hardwood floors in the living room, dining room and kitchen, and new paint throughout. On the first floor of this home there is a large eat-in kitchen with a relaxing view of the spectacular holly tree outside. Just imagine the magic of this view especially during the holiday season! There is plenty of counter space and storage as well. Progressing forward is the living room complete with a majestic stone fireplace and it is perfect for entertainment or relaxation. Alongside it is a dining room area perfect for private dinners or special occasions. Off the dining area is a covered porch - a spot that can be enjoyed regardless of weather! Finally, the first floor holds a large bonus room complete with a half bath and fireplace. This room can be whatever you can dream of - an added bedroom, home office or more! This room contains new carpet as well. Upstairs are three lovely bedrooms, but what's more is that two of them have sliding glass doors that lead out into a rooftop deck! This is a spectacular feature. One of these bedrooms additionally has an outside exit complete with stairs. Also, the upstairs has washer/dryer hookups. This home also has a basement with an outside entrance. Outside the kitchen entrance is a lovely stone patio with a whirlpool hot tub and a 5ft wading pool approximately 17 X 12ft. Both the pool and the hot tub have not been opened in 2 years, but both were in prime condition last time they were used. Finally, this home has a detached 2 car garage with plenty of room for both the cars and storage. There are 2 entrances to the garage, one is a shared driveway and the other is in the back. This is truly a unique home that you aren't likely to see again. Take the opportunity at making this "
"Beautiful updated stone front single on great street. The main level offers a large living room with stone fireplace, dining room with chair rail, new kitchen with granite countertops, new appliances and maple cabinetry, as well as 2 bedrooms with wall to wall carpeting and full bath. The upper level features 2 bedrooms and an additional room which could be used as a 5th bedroom or sitting room. Another updated full bath on this floor with a new tub. Beautifully finished basement with walkout and stone fireplace is great for entertaining or relaxing. An additional large bonus room is on this level that could be another bedroom, playroom, sitting area etc. Additional features include front porch, rear patio, private wooded yard, and oversized detached garage. Make your appointment today is see this excellent home!" "Welcome to the award winning school district of Upper Moreland. Located just on the outskirts of Hatboro sits this amazing brick home with 3 bedrooms and 1.5 baths. Some of the attractions for this property start with a brick exterior, very nice back and side yards, a 2-car garage and a newer roof in 2017 (lifetime warranty). On the 1st floor you have your living room (with gas fireplace); dining room and kitchen (eat in) along with a bedroom/office that includes a bathroom. The basement is full sized and can be finished if needed. The outside lawn is well maintained and measures about 1/3 of an acre and is surrounded by trees for privacy. Located just minutes from the Turnpike, Route 611, Upper Moreland swim club and maybe most importantly walking distance to the train and bus station. What a Great Neighborhood and opportunity for a new buyer!" "Pictures do not do this home justice- Come see it and fall in love! From the moment you park your car you will be in awe. As you walk up the walk way you will find the covered front porch. Enter into the foyer and be amazed by the original re-finished hardwood floors. To the left you will find your cozy living room featuring a gorgeous bow window and a coat closet. The living room is opens to the dining room which is ideal for entertaining. Off the dining room you will find the large eat in kitchen. The kitchen features a ceramic tiled floor, tile backsplash, updates cabinets, granite countertops and a pantry. Behind the dining room you will find a mud room with a large closet, laundry area and updated powder room. From the mud room you walk out to your 2-tiered deck which has just been painted. The large yard is awaiting your summer BBQs. Upstairs on the 2nd floor you will find the master bedroom featuring wall to wall carpet and a double closet, the 2nd bedroom features plush carpet, neutral paint and a ceiling fan, the 3rd bedroom has wall to wall carpet (no closet). On this level you will also fine the updated hall bath featuring ceramic tiled bath surround, wainscoting, ceramic tiled floor, granite countertop vanity and recessed lighting. Walk up one more floor to find a bonus room, which can be a 4th bedroom, office, playroom- or whatever you can dream. Lastly, there is an unfinished basement for all your storage needs! Off street parking is available on the new driveway! Everything you can think of has been taken care of for you- Roof 2018, Driveway 2017, Heater 2016, Central Air 2017, Windows 2012-2015. Wait- we didn't talk about location! You are within walking distance to the train station for your convenience. You are also a hop, skip and jump away from the heart of Hatboro- walk to the shops and restaurants. Enjoy all Hatboro has to offer- the parades, car shows, carnivals, festivals etc. All this plus an award winning school district! 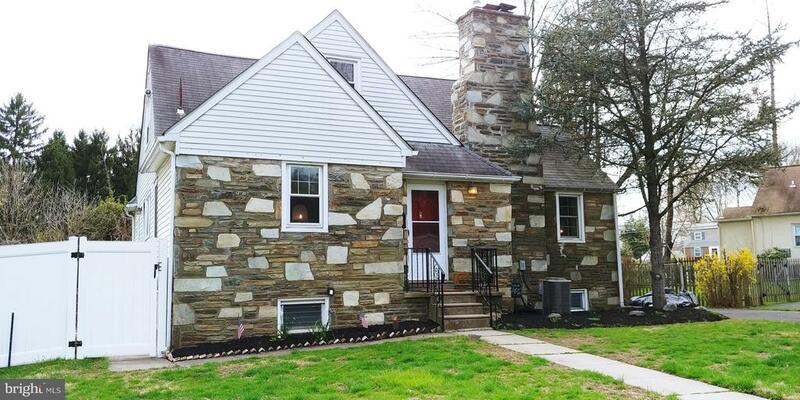 Wow"
"Split level located in the Hatboro section of Horsham Township. First floor features Living room, dining room and updated kitchen. There are hardwood floors in LR and DR. Second floor has 3 bedrooms and 1 bath. Large attic could be a fourth bedroom. Lower level has family room, laundry room and powder room. There is also a one car garage. The rear yard is fenced in and there is a deck off the dining room. Great location!" "Location, Location, Location!!! Welcome to Hatboro's best back yard. Sits right next to Mill Creek Park! Talk about Chilling & Grilling? Must see Moreland Manor cape with 4 Bedrooms, 2 Full baths, Double Addition off back, ~ family / dining room, ~ three season FL room, poured concrete foundation features semi-finished basement, upstairs has dormered out full bathroom, Lots of great newer windows and tons of natural light, Great bones - Lots of potential! A little paint and paper and this gem will really shine! Truly a must-see opportunity." 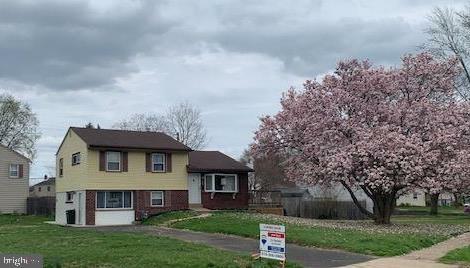 "You won't be disappointed with this beautiful, updated, immaculate, 3 bedroom 1 and 1/2 bath split level home located in the very desirable Hatboro and in the very prestigious Upper Moreland school district. Enter through the custom front door with leaded glass window and into a spacious, bright, sunny living room with hardwood floors, recessed lights, large bay window and coat closet; formal dining room with hardwood floors and custom sliding glass doors to a large deck overlooking the gorgeous backyard, perfect for those summer barbecues. Onto the kitchen with stainless steel gas stove, built-in stainless microwave, stainless steel dishwasher, light wood cabinets with built-in pantry, decorative ceiling and recessed lights. Lower level: walk down hardwood steps to a finished family room with laminate floor, custom dark wood built-in cabinets and recessed lights; half bath with vanity sink; access to the one car garage and laundry room an door to the backyard. Second floor: hardwood stairs; spacious main bedroom with hardwood floors, double closet and ceiling fan; second bedroom with hardwood floors, ceiling fan and 2 closets; bedroom 3/office with hardwood floors, closet and ceiling fan. Additional features: gorgeous level fenced in backyard; storage shed; freshly painted; vinyl replacement windows; central AC, vinyl privacy fence; new roof (10/2016);convenient location close to shopping and restaurants and so much more !! Make your appointment today!!" ",,New Gas heater,,, New Central Air, New Paint through out,, Formal Living Room and Dinning Room and with slider door to Large deck,, Large Family room New Floors and side door,, New Water proofing system in Craw space with life time warranty,, Update Bathroom,, Popcorn ceilings was removed and Whole house has New Paint,,, Large corner lot 1/2 block from Award winning Upper Moreland Schools,, A lot of New Sheetrock.,, New Re-finished Hardwood floors in all bedrooms,, 1/2 bath removed for installation of New French drains.. All plumbing still there for easy reinstall of 1/2 bathroom by the heater,,, Priced below Market value for quick sale,,"
"Sitting high on a hill this corner property offers privacy plus convenience to all that the Hatboro has to offer. Within walking distance to shops and entertainment this spacious home has a large side yard and private fenced back yard. From the paver patio you can enjoy the koi pond and lovely landscaping. As you enter the sun filled living room your eye is drawn to the wood burning brick fireplace. The adjacent dining room leads to a fully equipped kitchen with cozy breakfast nook. A large private sunroom is surrounded by windows which allows for a great place to relax and enjoy the cross breeze while just steps away from the fenced back yard. Downstairs you will find a fully finished basement with functional areas for living and office space, plus laundry facilities. A large serene master bedroom with en suite bath, awaits upstairs. Additional bedrooms and another full bath completes the second floor. 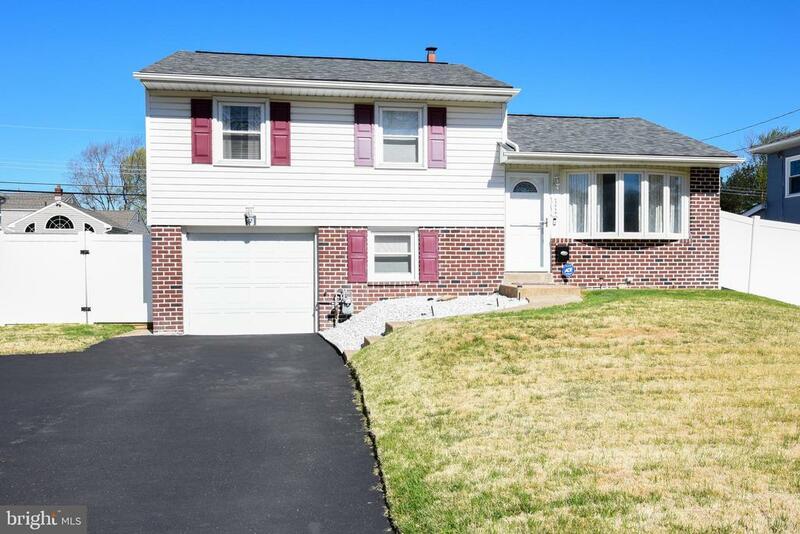 This well maintained home with one car garage is located in the highly desirable Hatboro Horsham School District. The perfect move up home for those who want turn key, convenience and room to grow. Showing begin at Open House on Sunday March 31." "Come see this adorable newly renovated home. Walk in to an open concept floor plan, beautiful dark wood floor, recessed light, beautiful original Wood burning fireplace, Big windows that bring lots of natural light, large living room, dining room. A beautiful Kitchen features all stainless steel appliances, white shaker wood cabinets, Granite counter top, perfectly matched with the back splash. Your large first bedroom is on your main floor, with big closet and windows, Full large hallway bathroom features Ceramic tile encased bathtub, and a modern vanity. Large laundry area is located on your main floor as well. Main floor has ADA accessible from the back door. Up on the second floor you will find 2 bedrooms. One of the bedrooms has it's on bathroom which feature a ceramic tile encased shower. new carpet through out the second floor and stairs. This adorable home also have a new Central Air unit, New hot water heater, detached 2 cars garage, long and new shared driveway, and a huge backyard. Located in the desirable Upper Moreland School district and close to public transportation, Willow Grove mall, parks, and more. Spring Market is super Hot. This beautiful home will not last long. Bring your Buyers today." 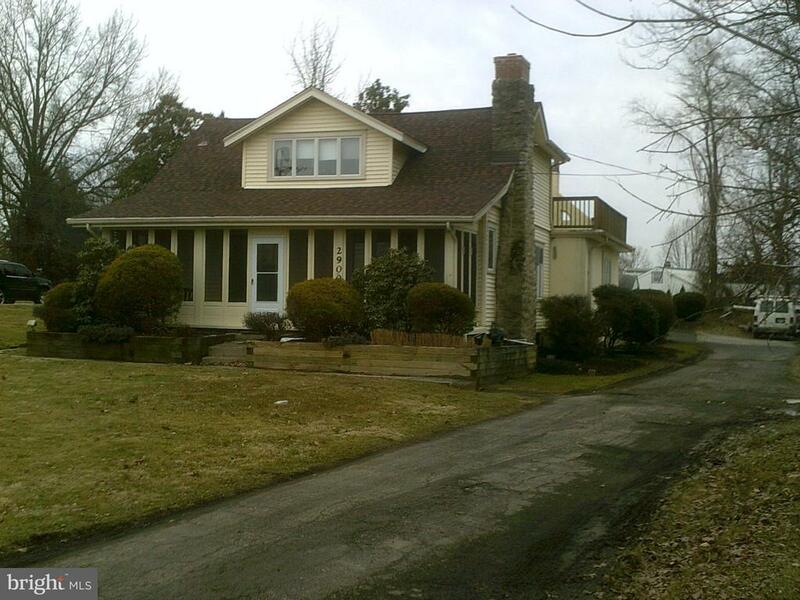 "Large 3 Story Victorian Colonial in the Heart of the Boro walking distance to the center of town. Features Formal Entry with turned staircase Ten foot ceilings in the Living,Dining room and Family room. Large Living room off foyer feature fireplace w/gas logs,Formal Dining room w/ hardwood floors.Family room has been used as first floor master Bedroom with access to new full bath with walk in shower new vanity and all new appliances.Large Eat in kitchen at the back of the house with vestibule to side yard. 2nd floor offers 9' ceilings 3 roomy bedrooms and Hall bath with large shower.Continue from the hall to the 3rd level which is perfect for the kids with large open room and access to 2 additional bedrooms and bonus room/attic.Full basement and large 2 car detached garage with walk up attic completes this lovely home,House needs TLC and is waiting for the right family to seize this opportunity.Deep open lot." "Welcome to a solid 3 bedroom Ranch Home. There are hardwood floors under the carpeting. Home has been maintained in good condition. The basement has been finished and is waiting for your imagination. To help when the electricity goes off, the Seller has installed a whole house generator with 2 propane tanks. You will appreciate this very nice ranch that offers an open floor plan, and a living room with beautiful shelving to display books or collectibles. The formal dining room is great for special occasions, and an eat-in kitchen offers plenty of cabinets. The three nice sized bedrooms give you even extra options as a den or additional office space. The full finished basement is perfect for extra storage or fitness equipment. The attic has flooring to add additional storage. Enjoy those barbecues in your spacious private fenced back yard! 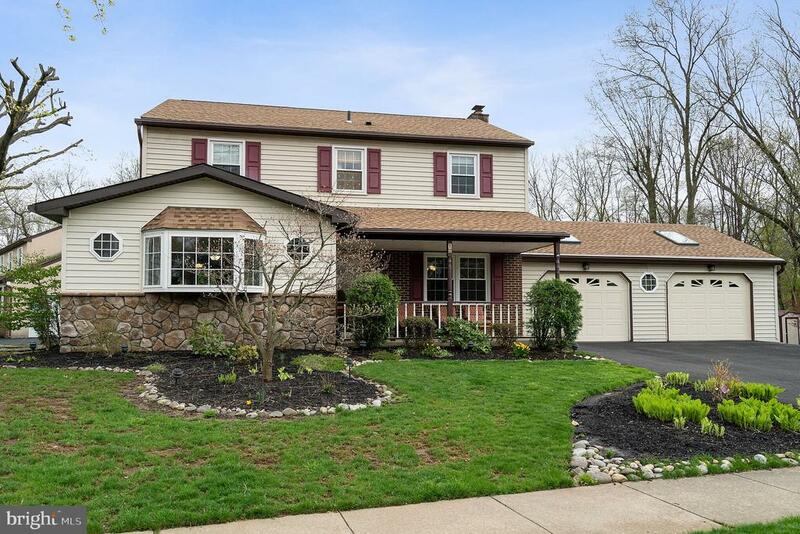 This home is conveniently located to major highways, shopping, dining and parks for recreation, in addition to being part of the award winning Hatboro/Horsham School District! The Seller will include a Home Warranty with the right offer. Seller is selling home in AS-Is Condition. Seller cannot and will not make any repairs." "For under 300,000 you can be the new homeowner of 420 Blair Mill Rd.! 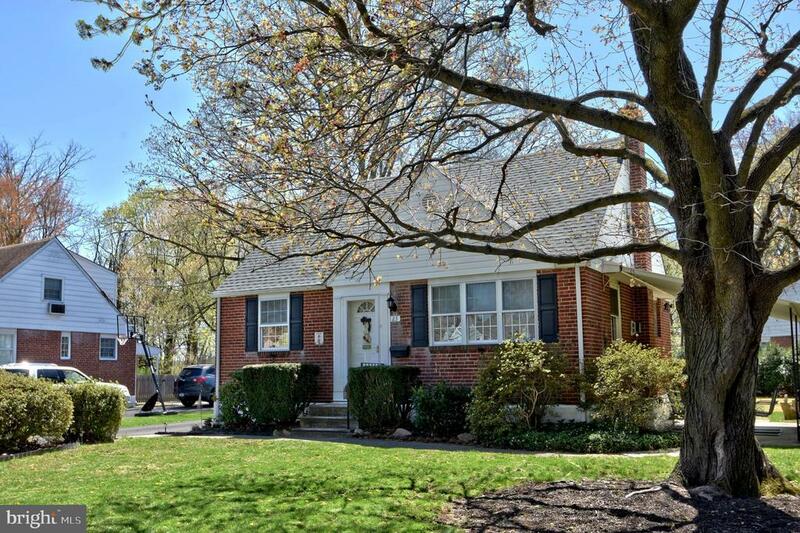 This fabulous updated home located in the award-winning Hatboro-Horsham School District, boasts 3 bedrooms, featuring a first-floor master with recently renovated bathroom with new fixtures and whirlpool bathing tub. A large laundry room accompanies the bathroom with extensive storage space. The comfortable and cozy living room/dining room allows for ample seating and entertainment while gathered by the stone fireplace as the entire house is wired with CAD5 cable. The oversized kitchen features solid wood cabinets, tumbled travertine backsplash, ample counterspace, ceramic tile floor, a breakfast nook and a space to accommodate a bistro set for intimate dining. The second floor welcomes you with new carpeted stairs and bedrooms. Each room offers a comfy feel with cedar closets an abundance of storage space. The second-floor bathroom is remodeled with fresh paint, new shower, fixtures and flooring. The true basement furnishes a new heater, ductwork and digital thermostats for the forced air heat that was installed in 2016, an updated 150-amp electrical panel and all internet/entertainment equipment. 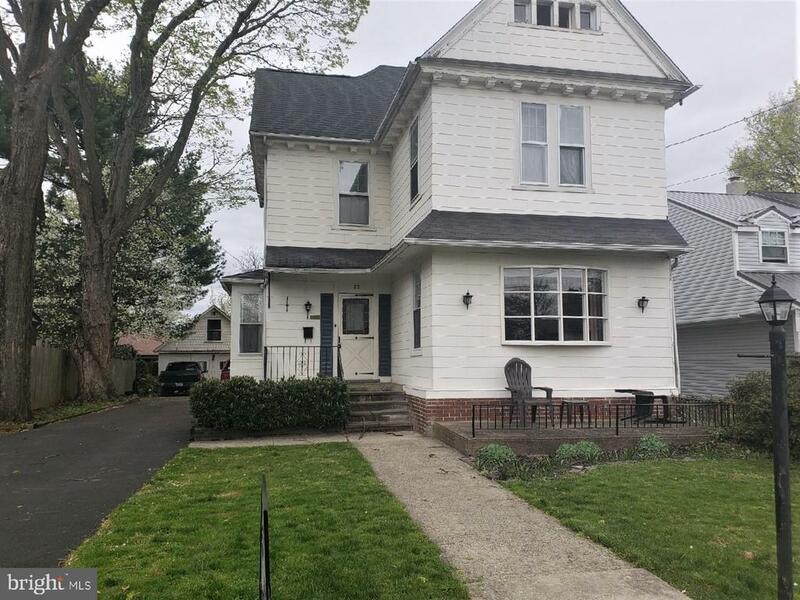 As you approach you are greeted by two large, mature trees along with the inviting exterior of a manicured front yard which is accompanied by a new front porch. Other new features of the exterior include: New roof, gutters, siding, flashing and some sections of fencing all installed in 2018. The spacious backyard lends itself to outdoor activities as well as a storage shed. 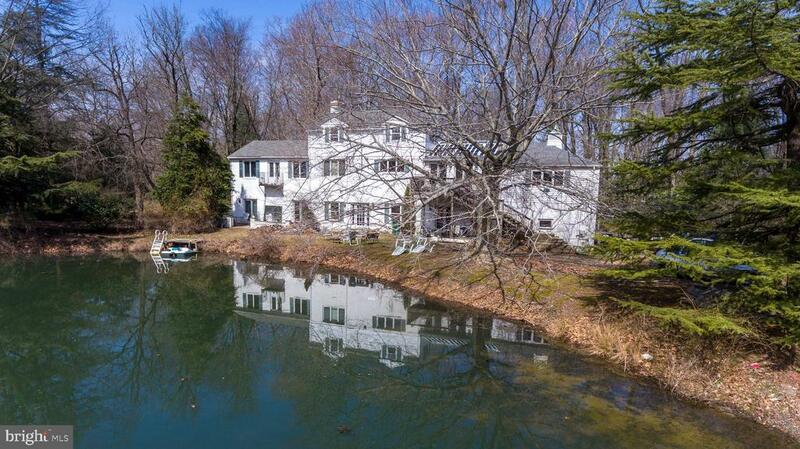 Close to Universities and Hospitals, major thoroughfares, Rte.611, Rte. 309 and the Turnpike. Close to great shopping, dining and entertainment. 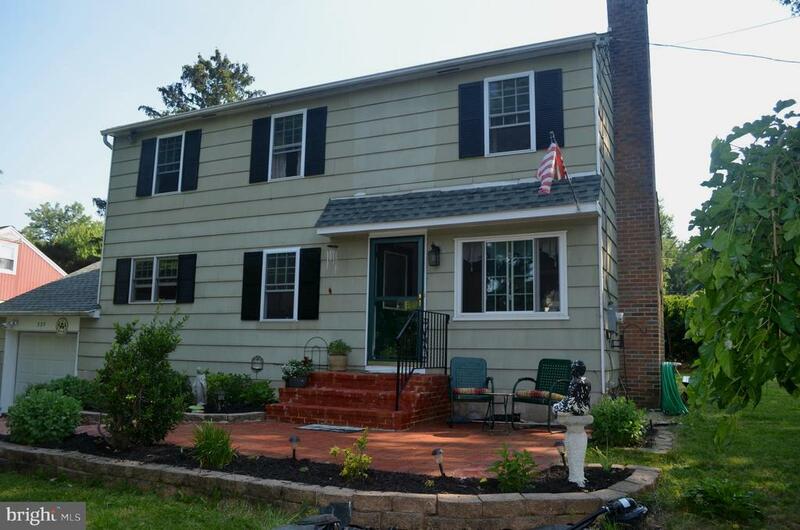 This is your moment to own a beautiful home in Hatboro!"